Here’s to revisiting a past that your grandfather reminisced about, that one story that was told to you when you were little. 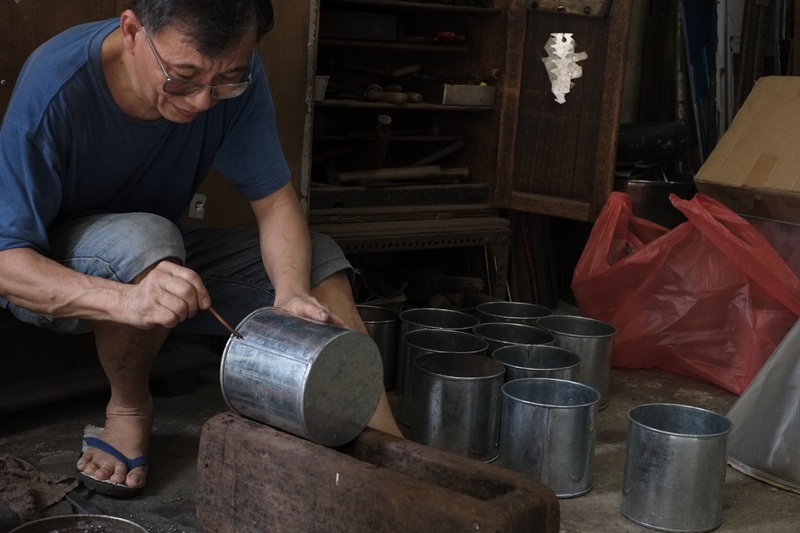 A story about a man who has been living his life like clockwork for the past 30 years, who’s zest for metal works and hardship moulded him into the man that he is today. 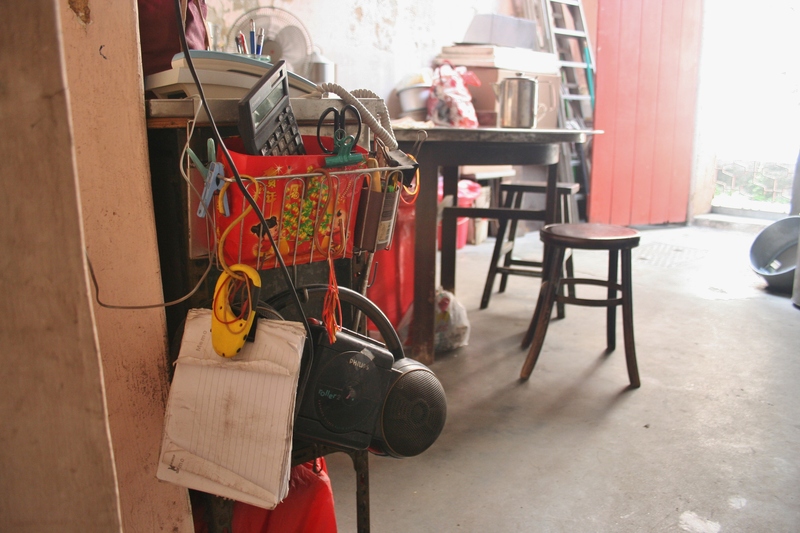 In all of Singapore’s polished streets, squeaky glass windows and “world-class” amenities, therein lie pockets of age-old places that seemed to be cemented in time, places where no wi-fi signal has ever crossed. Places that still keep it real. 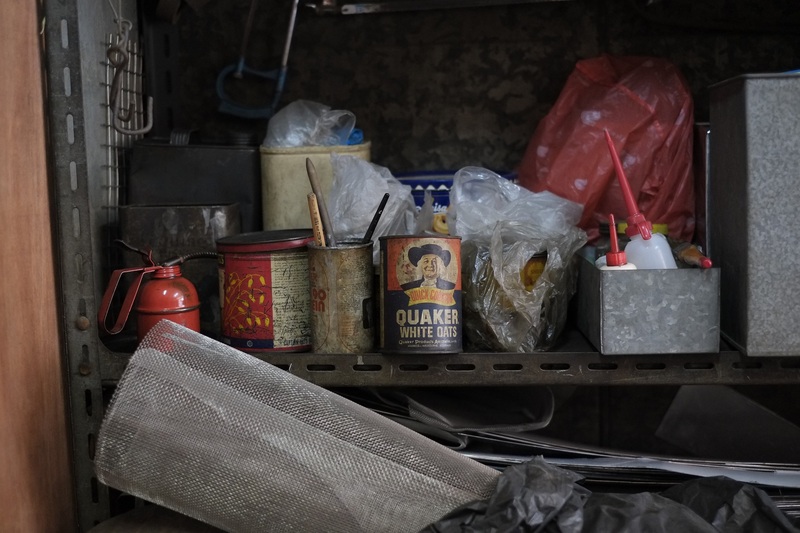 Balestier is one particular area, known for serious eaters of bak ku teh and chicken rice, families looking for lighting inspiration, call girls and KTV hostesses returning home in the wee hours of the morning to their shared dorms in sub-let apartments. 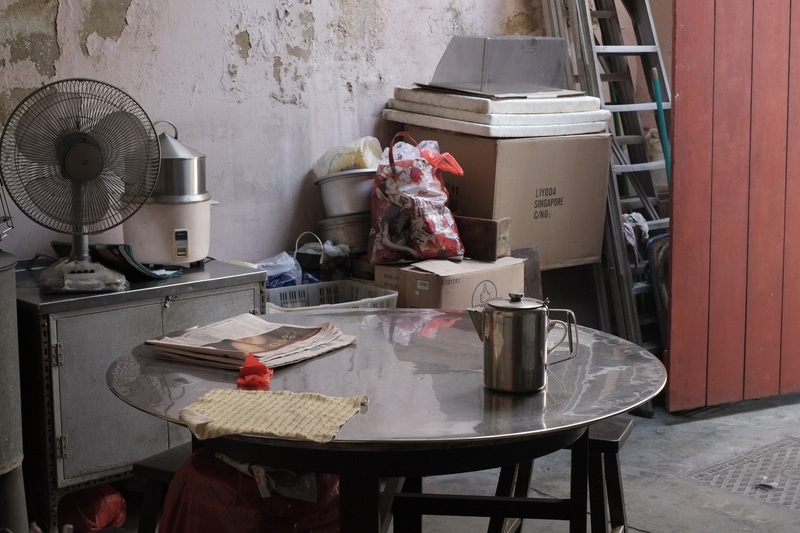 For the most part, it is pretty much gentrified, bestowed with nuances old and new, from coffee shops that have become culinary institutions to Singaporeans, to new hotels and condominiums that seem to pop up overnight catering to a large migrant worker and foreign student community from China and Philippines. Amid the frenzy, one little shop opens its gates for business on a rather stale and humid morning. 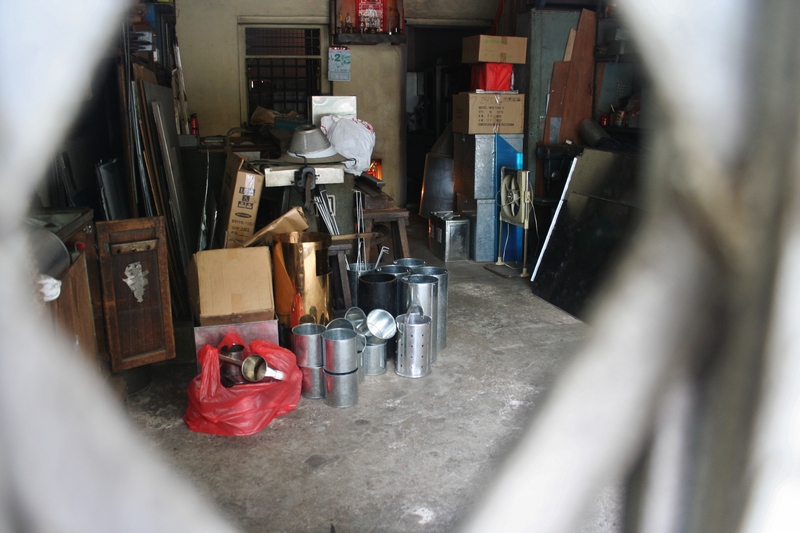 Having been in the trading industry for over five decades, the interior of Chop Wah Hin is a kind of place seen more often on TV screens airing historical documentaries or poorly made local dramas desperately reenacting a retro Singapore. Chop Wah Him is run by Jimmy Chin, a metal sheet fabricator in his 60s. He’s been running the store for more than 30 years now, taking over from his father. 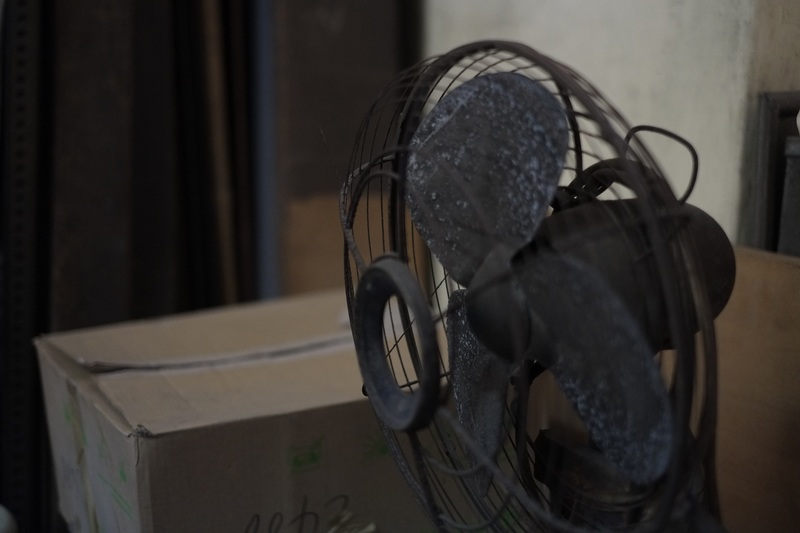 Jimmy, as he is more popularly known among neighbours and the Balestier community, left his job as a civil servant in his 20s to help his father. 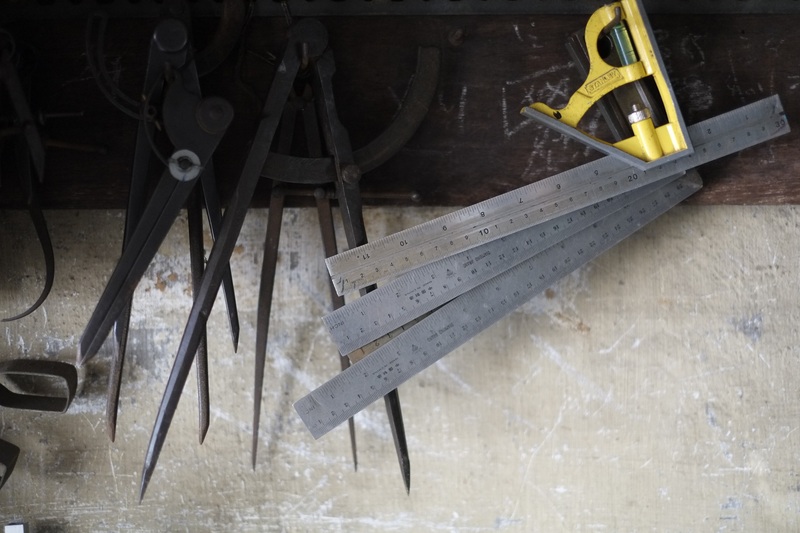 Dealing with various metal services for industrial, commercial and domestic clients, Jimmy’s hands tell the story of both legacy and hardship. 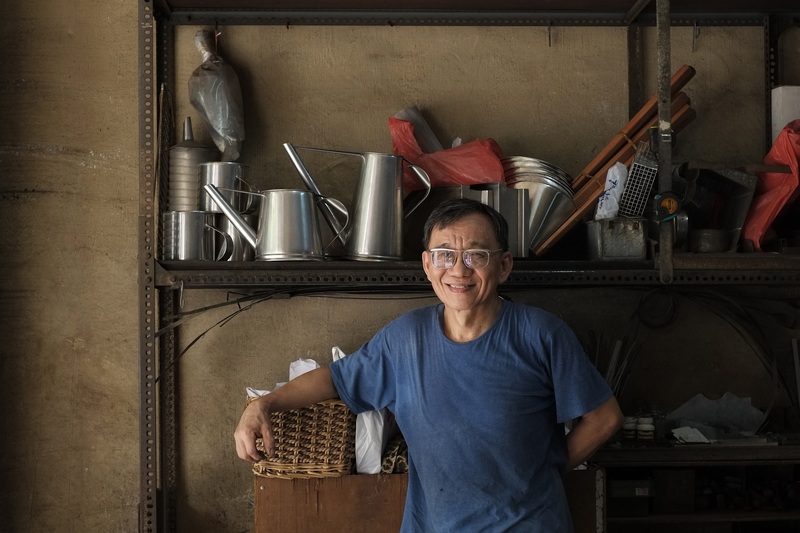 Wearing plastic Tat Sing slippers, Jimmy nimbly passes large metal sheets, tin cans, ancient machinery and tools that line the floors of his workshop. 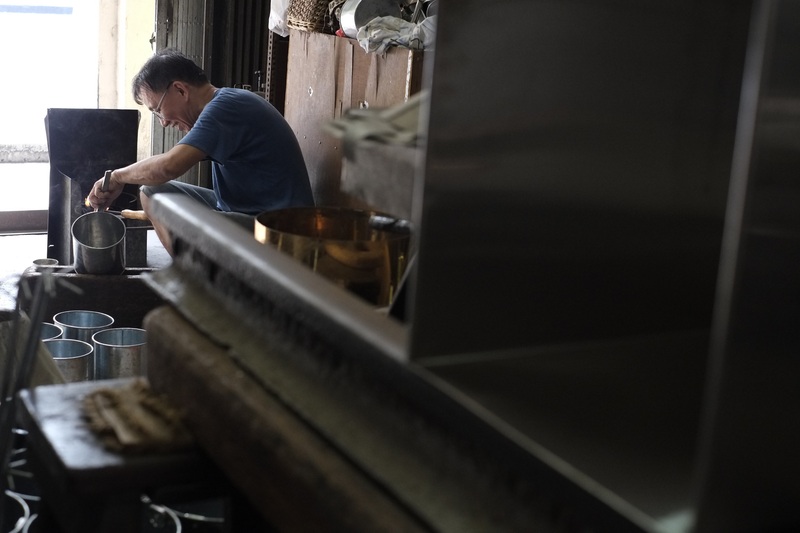 It’s a place he’s proud of, and, despite its soot- and rust-filled age-worn interior that might look an unappealing work environment for a younger generation, there’s an order and neatness at Chop Wah Hin that displays Jimmy’s house pride. At the back, a neatly arranged kitchen and a glass cabinet arranged with medicine and other household necessities in compulsive neatness. 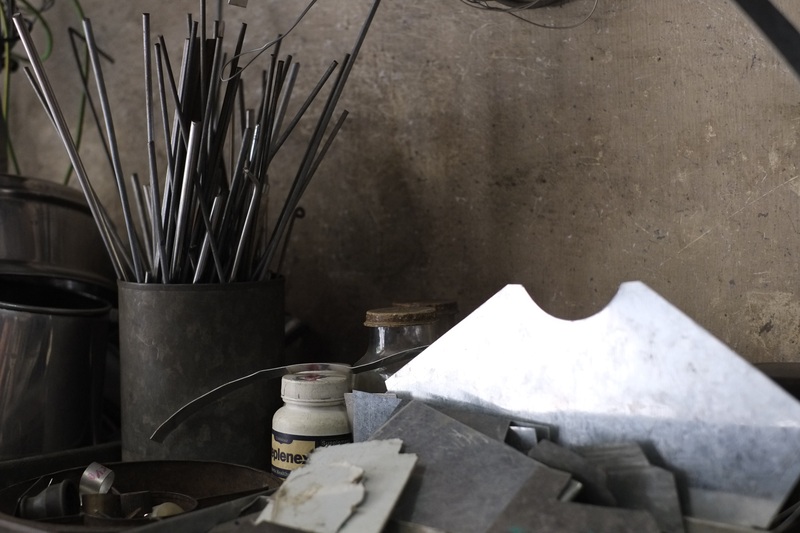 The morning sunlight creeps gently into the front edge of his shop, where he rests effortlessly on a small brown stool and begins his routine, pouring kerosene into a burner that he will later use to melt down metal in a soldering process. As he begins, he laments about inflation and the price increase of a can of kerosene, then laughs about it. “It’s almost $30 for one can like this,” he says. With shirt soaked in perspiration and sweat trickling down his neck, he is not bothered about the heat and stress. In fact, it’s something he’s proud of. 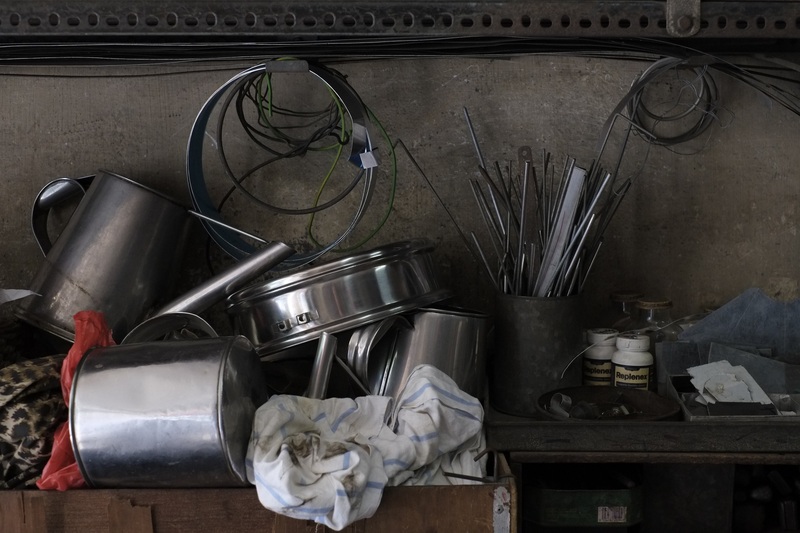 He doesn’t explicitly admit it, but when Jimmy talks, he makes known the hardship and the back-breaking work he goes through for hours on end at the shop. He’s restless and he’s buzzing, and it’s hard to believe this man is in his 60s. His hands shiver restlessly when he’s talking to us and stops his work, but they are suddenly still and mechanically steady when they start work. Speaking about his trade like it’s from cradle to grave, saying that he would continue till the day his body fails him. A spirited man whose life views on things are very much wrapped around being contented with the simple pleasures of life – like listening to old Shanghai jazz and Hank Williams – and whose sanity revolves around the perpetual itch to fix things. 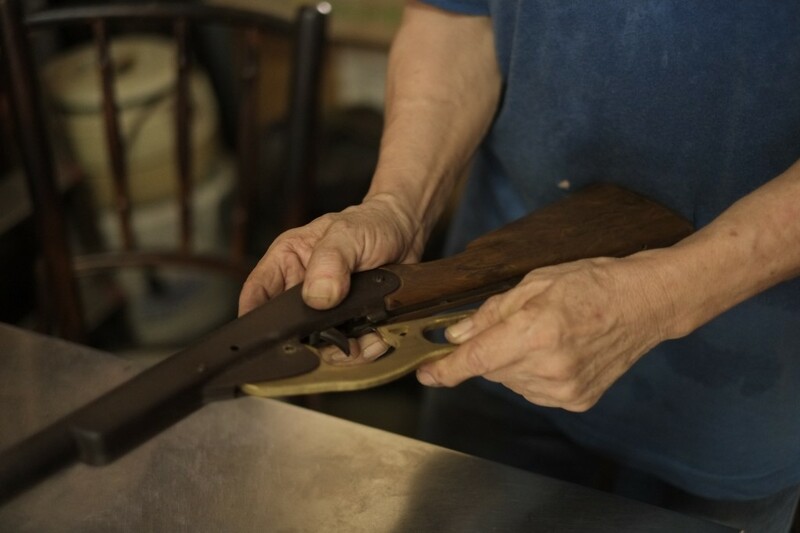 A movie lover who once pretty much exhausted all movie options offered at the cinema during a time he was forced to take a three-day leave, his recent side project involves almost the same thing he does at work day in and day out – the remodeling of an old metal gun handle that’s probably older than this writer. It may not be a dying trade, but Jimmy is certainly one of the last of that hard-working and tireless breed of a Singapore generation that won’t give up. 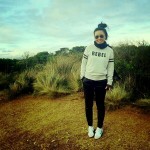 Part-time amateur photographer, avid globetrotter, foodie and cat lover. Also an NTU major in Sociology. She hopes to own a hedgehog one day. A good day would consist of Grey's Anatomy, tea or cider. Find her on Instagram at @popbricks.